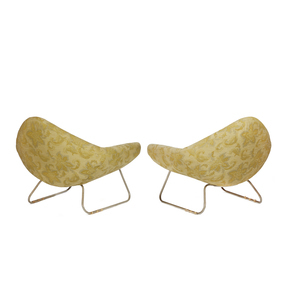 Pair of mid-century modern "coconut-style" armchairs with pear colored, subtly floral upholstered seats. The chairs have metal bases. Dimensions: approximately 30 1/4"h x 36"l x 32"w. For delivery quote, please contact Box Brothers Sacramento at boxbrosacto@gmail.com. Minor wear to be expected with age, but overall in very good condition. The metal frame show some signs of rusting, but they are stable and show no significant signs damage. 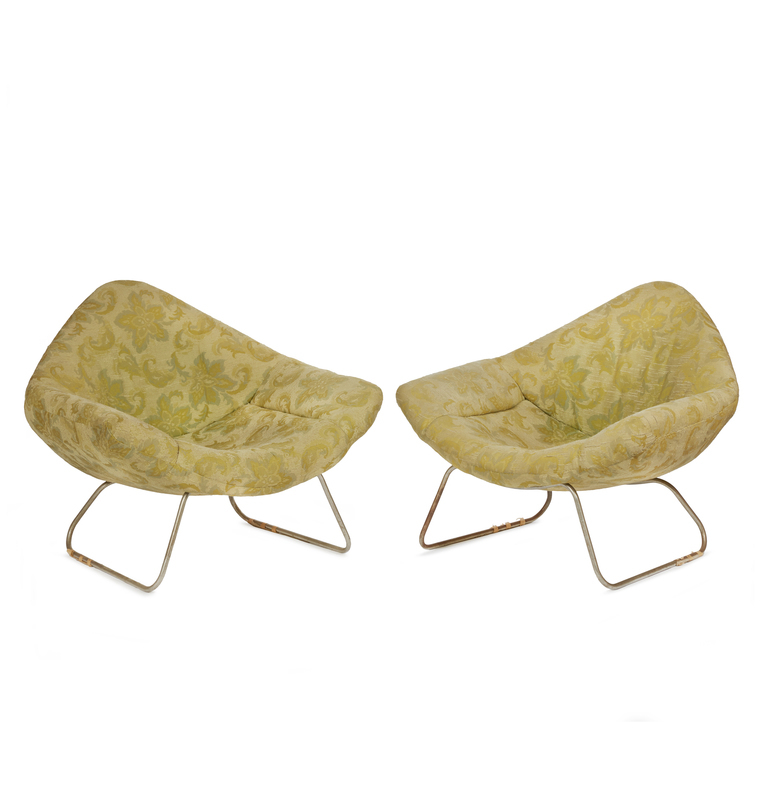 Witherell's strives to provide as much information and photographs as possible but encourages in-person inspection by bidders. Condition statements are only for general guidance and should not be relied upon as complete statements of fact and do not constitute a representation, warranty or assumption of liability by Witherell's. All lots are sold "AS IS" under terms and conditions. Please be advised we do not furnish packing materials nor porters for pick ups.